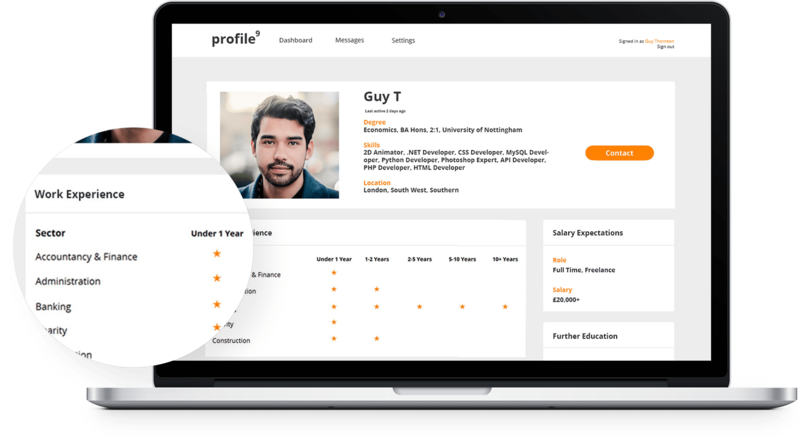 Profile9 is a project of a startup web system created to help employers find the right candidate for their jobs. 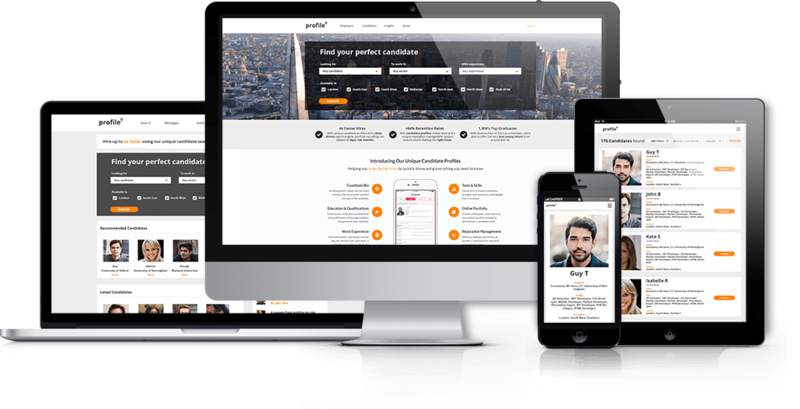 The web application accelerates the recruitment process and allows employers to find the best candidates, according to their preferences and candidate qualifications. 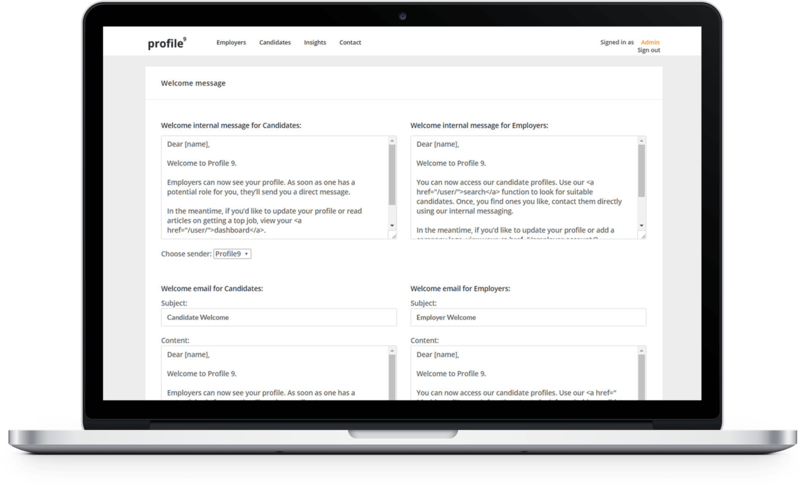 To allow potential employees to create their own custom profiles, and be contacted directly through an in-application messaging system. 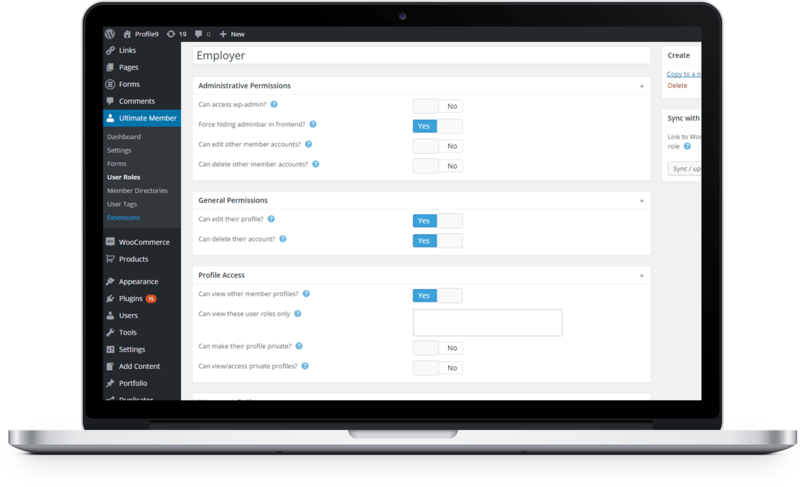 To create a platform on which employers can easily find registered candidates using a tag-based search function. 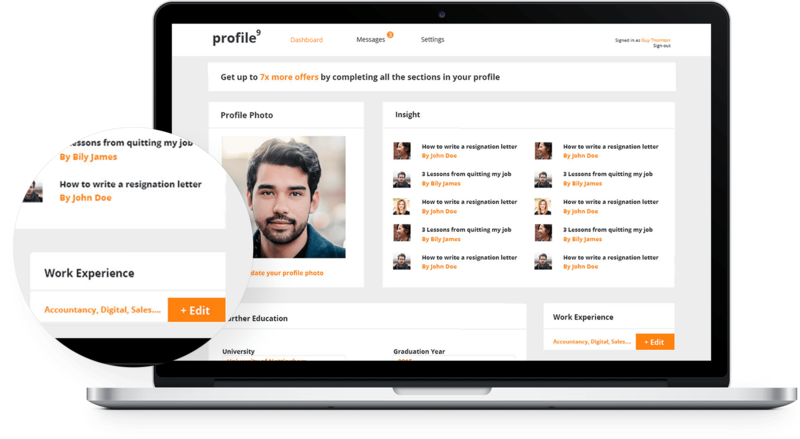 Principle 9 is a digital marketing company, introducing their original Profile9 concept to the IT market. 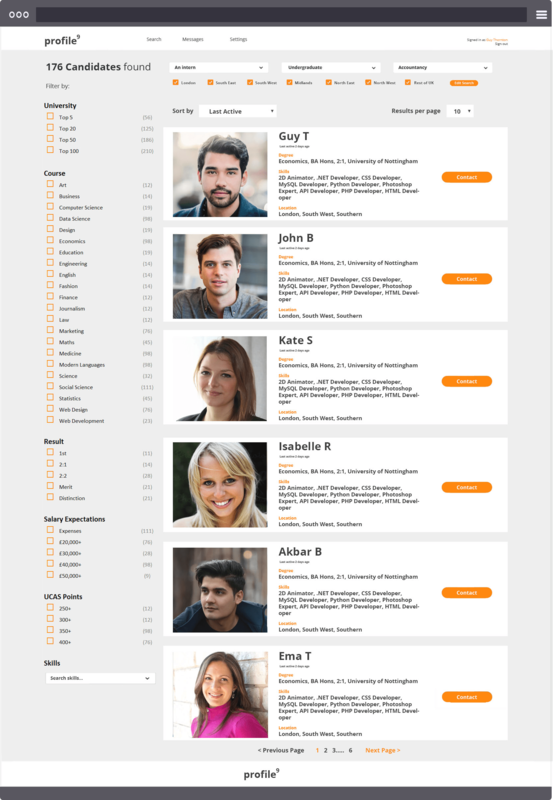 The aim was to build a CMS Application which allows users (candidates) to create custom profiles which can be found by other users (employers) using a tag-based search function. This system is the core of the web app; its proper functioning ensures efficient performance of the search engine, which is a key element of the project. 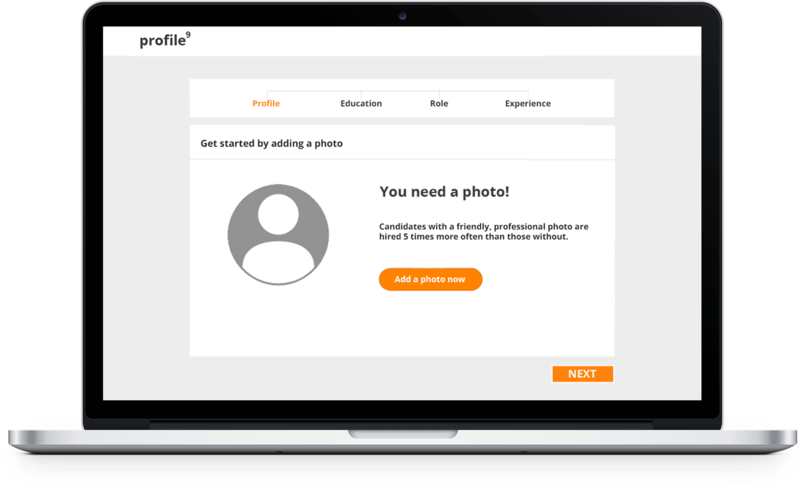 The app has been designed so that the candidate can fill out their profile details (i.e. education, skills and work experience, etc.) at the user-friendly front-end. 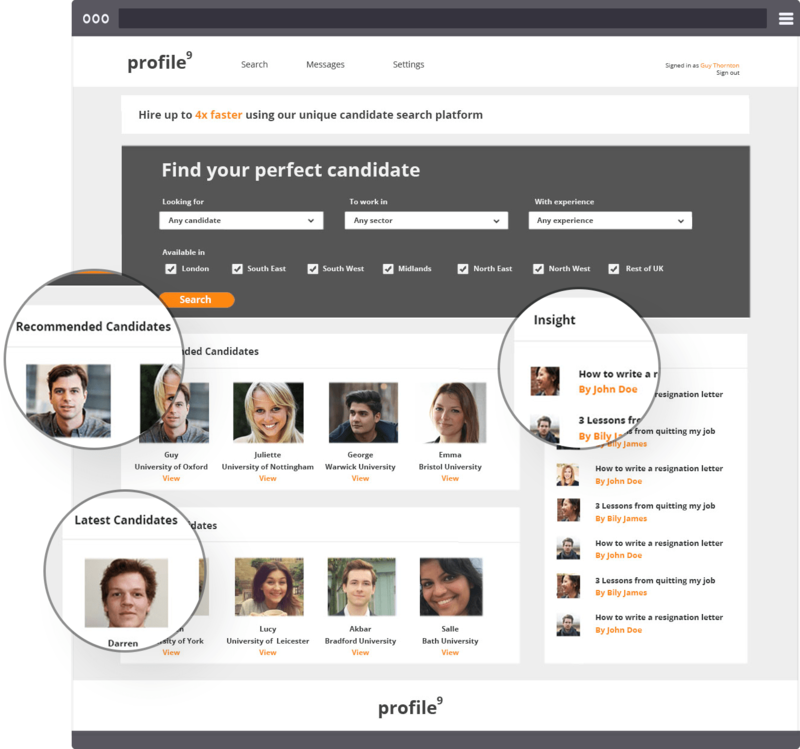 The implemented tag-based system ensures the effectiveness of the search plugin for the employer, according to the information set by the candidate in their profile. 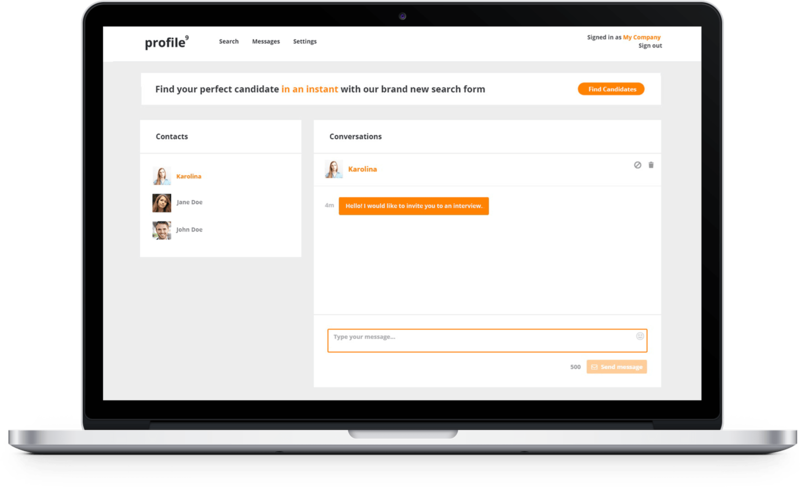 We developed a multi-level tag system to guarantee that any candidate who meets the specified search criteria would not be missed off the results page. 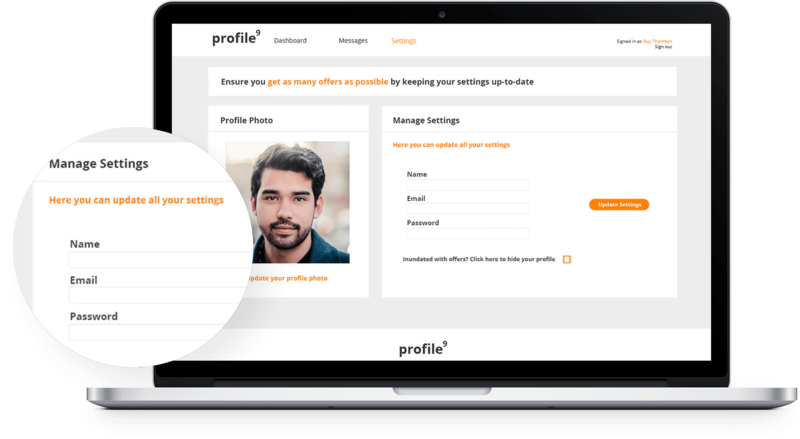 Each user has a public profile page, which displays their personal information and can be updated at any time on the user dashboard. Profiles pages allow employers to view candidate details, and candidates may hide their profile from the database by one click on the Settings page. 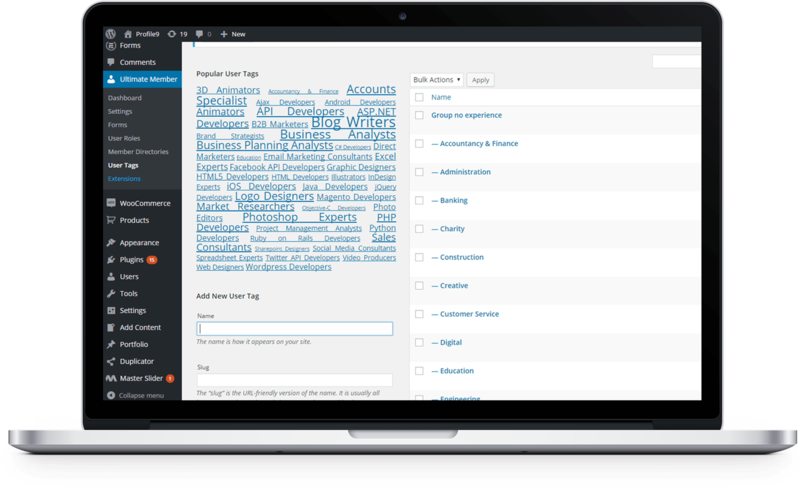 Each user has the ability to edit their account settings. The main beneficiary of the project are the employers, and therefore the functionality of the application is developed to meet their expectations. The user-friendly Employer Dashboard uses bespoke, customized Plugins; Search Widget, Insight Widget, Recommended Candidates Widget and Latest Candidates Widget. 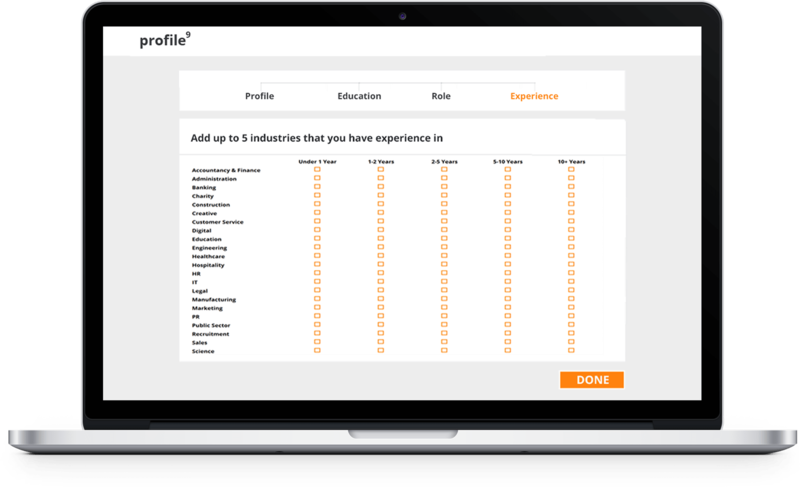 Plugins create an intelligent dashboard and allow employers to efficiently search the database for candidates, according to their preferences. Widgets associated with the database of candidates display a list of candidates based on the latest search history and their recent activity. Complex in its structure and simultaneously user-friendly, the search tool enables advanced filtering and sorting functionalities, and thanks to developed IT technologies, results shown in the subpage are refreshed automatically. Also, when the filters are selected, the number of candidates meeting this criterion appear next to them. Thanks to the internal messaging system implemented in the application, users have the possibility to directly contact and keep conversation threads with each other. On the messages sidebar there is a sidebar of the list of users to converse with and a central message window in which users chat, all designed according to the principles of UX and usability. The notification system implemented tells users about new instant messages. In addition, by displaying an icon on the user’s account showing the number of unread messages, the user will never miss any messages! Admin has the ability to send a bulk message to all registered users, which appears in the messages section of the user’s account, making it easier to provide necessary administrative information. 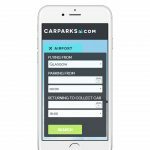 The whole application is managed by a backend management application system tailored to the client’s needs. 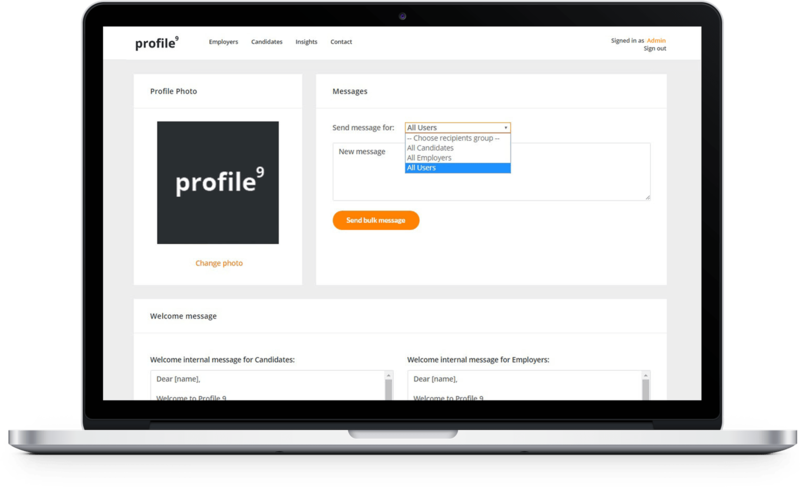 The system provides the ability to manage user applications, modify the attributes of user profiles, alter the scope of search criteria and support the messaging system. The implementation is fully customized to the client’s and user’s needs.